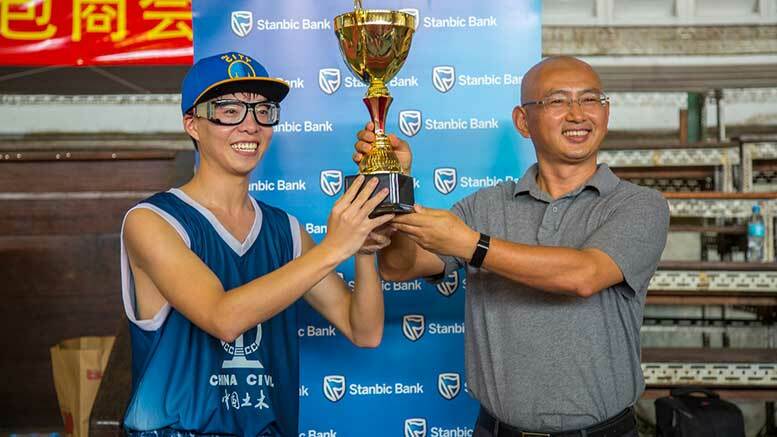 Stanbic Bank Tanzania sponsored the 7th edition of the Chinese Constructors Association (Tanzania) basketball tournament, to build and maintain relations with clients in the Chinese community. Bisonga said Stanbic Bank aims at creating a long-term relationship with the Chinese community that goes beyond banking, reminding that Stanbic Bank has been a part of the Chinese Community through its long-standing relationship with the world’s biggest lender, Industrial and Commercial Bank of China (ICBC) that spans a decade. “We are a valued partner to our clients in realizing their opportunities and managing their risks. We connect our Chinese clients to opportunities across Africa and beyond through our proven experience in emerging markets, local insight and our on-the-ground presence in 20 countries in Africa”, he added. China Civil Engineering Construction Corporation (CCECC) Tanzania’s basketball team defended the tournament’s trophy by beating China Geology Corporation (CGC) 63-42 in the final that attracted spectators from various parts of the city. Chinese Embassy Chief Economic and Commercial Representative, Counsellor Lin Zhiyong congratulated the winning team and thanked organizers and Stanbic Bank Tanzania for sponsoring the annual event.